Johan and Hanneke live near the Belgium border in Netherlands. Johan is a manager in a gas company and Hanneke works as a social assistant. It is their first time in Japan. They arrived two weeks ago and they are going to stay for two more weeks, visiting and having fun in different cities. They have already visited many cities – Osaka, Koyasan (they really enjoyed), Hiroshima, Kyoto and Kanazawa. Now, they are going to Takayama to relax for a few days, then Hakone (for Mt Fuji), Tokyo and finally Yokohama. They are trying to visit the most cities they can during their trip which is really exhausting they admitted to me. They think that Japan is an interesting country, principally because of the culture which is really different to other countries they havevisited, even in Asia. They told me, in Japan, people are amiable and very helpful when they see you have difficulties with something, far more than in Western countries. Plus, a quality they really appreciate in Japanese people is how patient they are, they always find time for you and they take time to accompany you when they can. I totally agree with them. The food is the only thing with which they are struggling… They told me Japanese food lacks flavor. 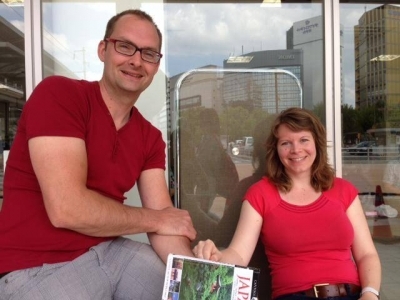 Johan and Hanneke are two friendly and warm hearted people. They really love travelling and they find it interesting to learn about new cultures. I’m happy to have met them. I wish them a good trip in Japan! Ruben is from Léon in the region of Guanajuato in Mexico. He came to Japan in March to participate in a project development program introduced by JICA (Japan International Cooperation Agency). So, he will stay until September in Japan. In Mexico, he used to work as a Project Manager in a shoe company named 'Andrea'. 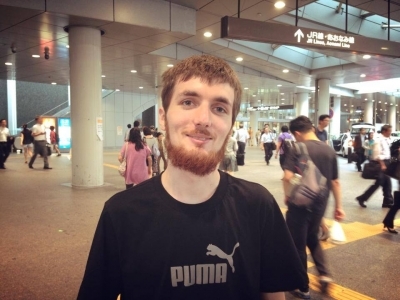 I find this program very interesting, I didn’t know that Japan was involved in such missions, it is a great opportunity for him and other foreigners who are currently participating. Ruben likes Japanese culture, which emphasizes the respect of others and working towards the common good… but on the other hand, he thinks their way of working is a sort of sacrifice - the needs of others is more important than you. He also appreciates how safe the country is. Mexico is not than dangerous he told me, but there are some places where you can’t travel alone. Japan is the only country he has visited before. He has been to Tokyo, Nagoya, Kyoto, and Kusatsu. 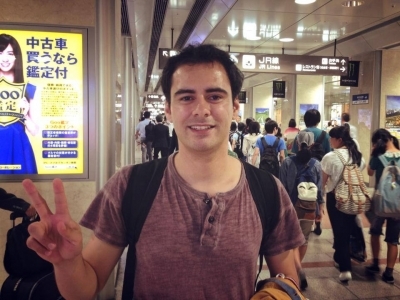 Talking with Ruben was a real pleasure, I learnt a lot about the way Japanese people behave. He is a kind and open minded person. After the JICA program, he plans to start a recycling waste company. This type of society is not really widespread in Mexico. I wish him a lot of success! Maria is from St. Petersburg, Russia. 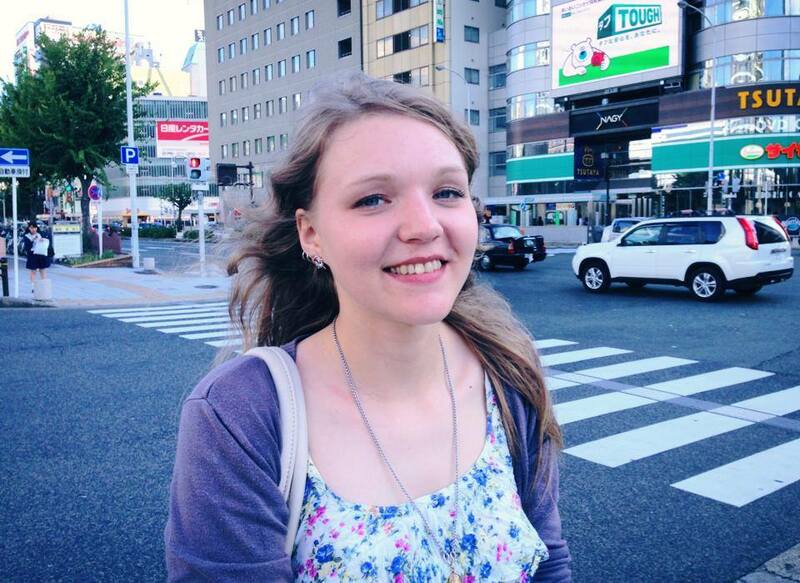 She works as a translator, and she speaks Japanese, Russian and English. This is her fourth trip to Japan. The first three were for visiting the country, but this time it is a business trip. Maria has visited a lot of cities in Japan including Tokyo, Osaka, Nagoya, Okinawa (Naha) and Kobe. Kobe is her favorite one, such a quiet city with beautiful gardens she told me. Also, she has travelled to France, Germany, Poland, Netherlands and South Korea. She confessed to me that she prefers South Korea to Japan because of the atmosphere there which is softer. But she prefers Japanese food. Maria's advice to Japanese people who plan a trip to Russia is to be careful with the difference of culture. For example, the profession of a tourist guide – it is not the same in Japan and Russia. She told me that sometimes some Russian guides are hurt by the behaviour of Japanese tourists. It was interesting to speak with Maria but she seemed a bit tired so we didn’t talk for a long time. She is a kind person and I hope her business trip in Japan will go well. 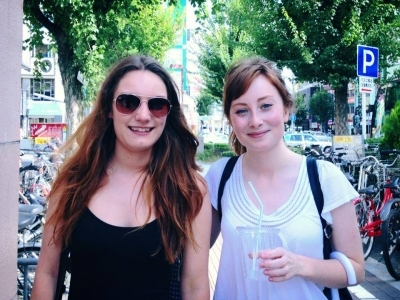 Alice and Holly are both university students majoring in Accounting and Finance. They arrived last Tuesday and it is their first time in Japan. They are planning to next go to Tokyo by shinkansen in order to visit the city and see their friends. They think Japan is very different from the UK. Japanese people are very polite and they respect themselves and foreigners. The train system is very efficient and fast, moving to another city is easier in this country and everything is clean. Nevertheless, they are disappointed about some points – the food is different so they have to get used to it. Also the time difference between the two countries is causing them some problems. And last of all, the language barrier is strong. It is hard for them to communicate because they just know one word in Japanese “arigato” (thank you). About travel, Alice has visited a good part of Europe, USA, Canada, China, Thailand, Canary Islands. Holly hasn't travelled as far as Alice but she has been to Egypt, an interesting country in my mind. 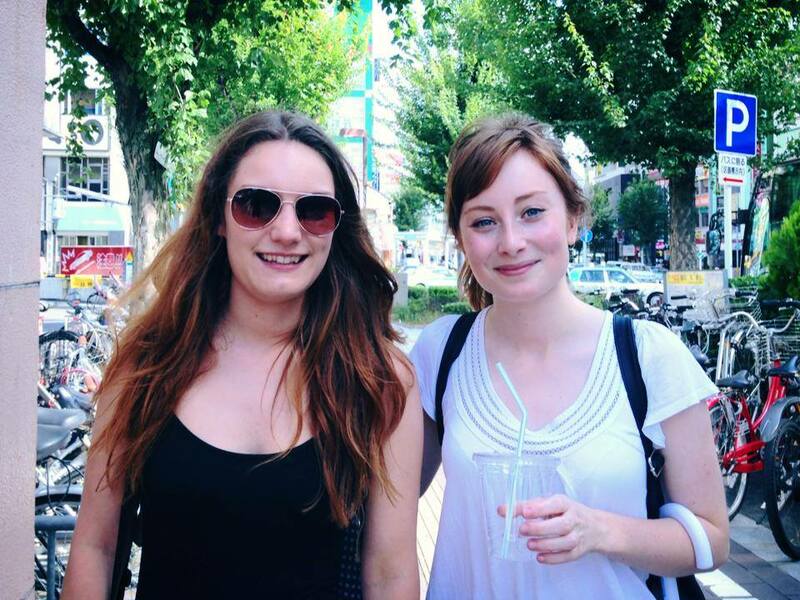 Alice and Holly were very kind, I’m sure they will enjoy their trip to Japan. Japanese people are really helpful, so even if Holly and Alice don’t speak Japanese at all, I’m sure it is going to be fine for them. I hope this first trip will make them want to come back. Herbert works on an Oil Platform in Alaska. This is a dangerous job and working conditions are extreme but at least, it’s well paid. So Herbert works for a few months and then he can enjoy long holidays. It is the same for the sea fisherman… I would like to have this experience once in my life. Herbert was interested in a few countries so he decided to visit them. They are: Peru, Argentina, Italy, South Korea and finally Japan. He is really attracted to the Japanese culture – temples, tea ceremonies, Japanese alcohol… he tasted Habu Sake from Okinawa once, it was really good he told me. Also he likes people and their manners. The society is solid and collectivist and he admires Japanese workers, “they work as much as us, even more” and they endure huge pressure. Also in Japan, they have benign weather compared to Alaska where in winter temperatures can reach -30°. I’m glad to see that Herbert is enjoying his trip in Japan. “Life is comfortable here” he told me, “returning back home is gonna be hard”. He is a friendly person, always smiling and making jokes. It was a pleasure for me to meet him. Maxime is a French student in Biology who lives in Brittany, west of France. I’ve never been there… but he has never been to Paris either! This year he had to do a three months’ internship in Malaysia. A great country he told me – people are kind, nature is beautiful and he met students from all over the world. 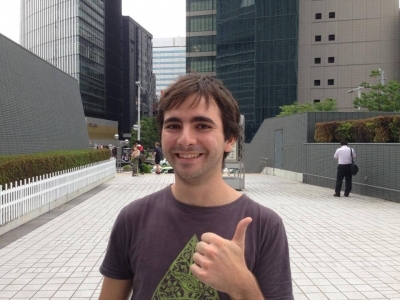 After finishing his internship, he came to Japan for a holiday. Actually he really wanted to come here and the flight between the two countries is cheap so it was a good chance for him. So he will spend one week in Japan, visiting a few cities – Kyoto, Tokyo and Nagoya. He really liked Tokyo and the fact that this city never sleeps. He was seduced by the food too, better than Malaysia he told me, especially ramen and udon noodles. 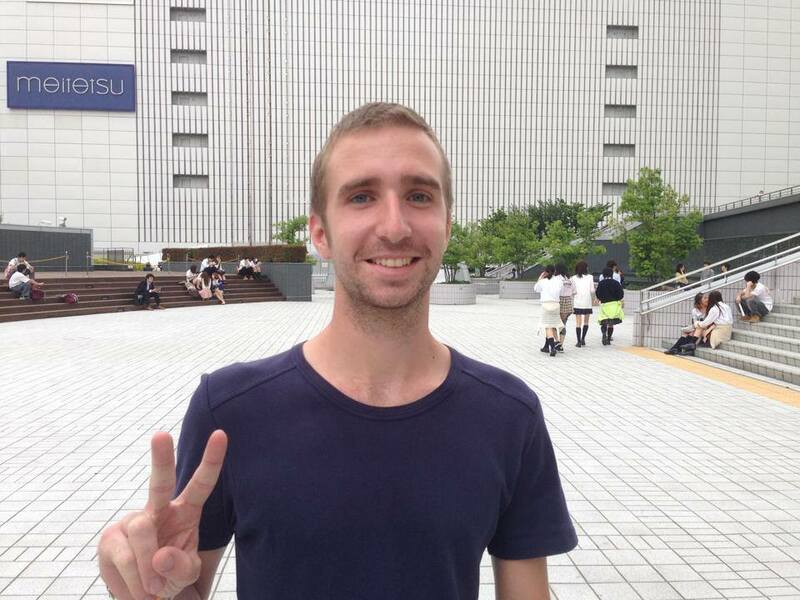 Also, Maxime has been really impressed by the Japanese organization “it is like living in a LEGO city”. One thing has disappointed him… prices! Compared to Malaysia they are hugely high! He told me he used to eat with two or three friends for the equivalent of 800 yen! I’ll go to Malaysia just for the food! Maxime was very gentle and he gave me his e-mail address and told me to come to Brittany someday. He told me he found Japan very interesting and he wants to come back soon for longer. I liked talking with him. Dario is from Lisbon, the capital city of Portugal. He came to Japan for studies and he is going to stay one year here. He came to Nagoya to meet a Portuguese friend who is also studying in Japan. It is his first time in Japan but he was eager to come here. For many years, he has been learning Japanese, actually he is a huge fan of the country! He has visited Tokyo, Osaka, Kyoto, Nagoya, Nara, Kobe and other little cities. He thinks each city has its own atmosphere and charm. People are really kind and polite, the country is really safe and everything is clean. The structures are also really organized and well prepared. Dario has visited a few countries in Europe but he told me Japan was his aim. 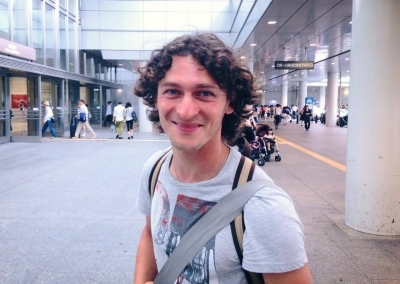 He fell in love with Japan after hearing about Japan from friends who had visited the country. Then he read many books about the country and nowadays he plans to work here. He likes Portugal too but the Japanese way of living is better for him even if the work seems to be harder. There are not a lot of Japanese tourists in Portugal he told me. This is unfortunate for him as he would have liked to have exchanges with them before he came to Japan. Sometimes, the country where you are born is not necessarily the best place for you to live. You have to travel and find this place. I think Dario has found his and I'm really glad for him. He is a nice person and I hope his dream will become a reality. When I first saw Alex, I thought he was a tourist, but actually he has lived in Japan for eight years with his family. He works in a trading company in Kanagawa prefecture. He told me his company is foreign so the way of working is not really the Japanese one. Even though the country is comfortable for living, Alex thinks there is too much pressure on the Japanese workers. His job allows him to travel a lot in the country. Alex has visited a huge part of the country and he is beginning to travel to other countries like Taiwan and the Philippines so far. I’d like to have a job which allows me to move like him! 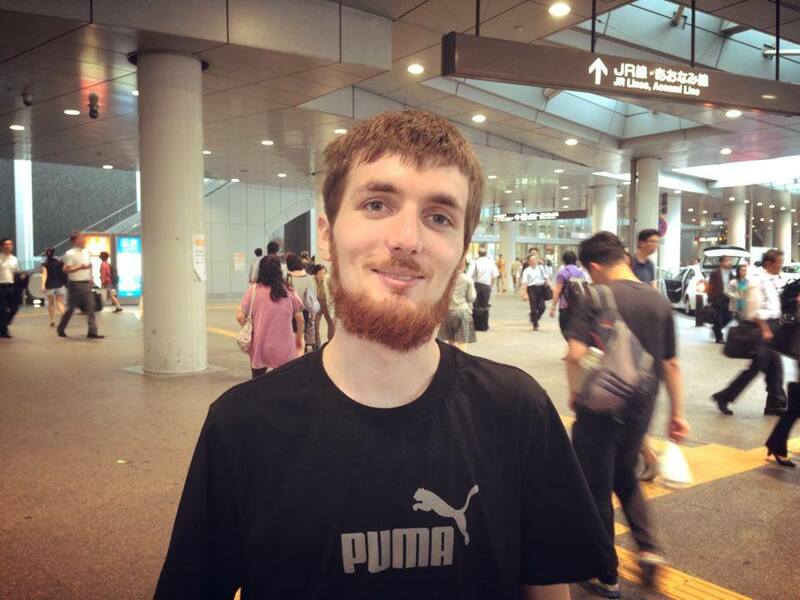 He appreciates the service in Japan – “In Russia, people are so rude when you ask for some help for administrative stuff. 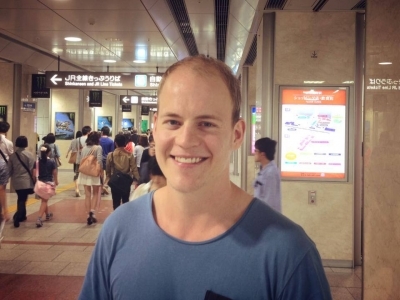 In Japan they’re smiling and they really make an effort.” He thinks cities are quite similar and he told me that visiting Tokyo and Kyoto give you an overall vision of Japan. However, I always want to visit all the cities in Japan. I really enjoyed talking with Alex, he is a friendly and smiling person. He had some difficulties with English because he doesn’t practice it a lot. He said his Japanese is better than his English. He is not accustomed to speak to strangers he told me, but when I explained to him about my project, he found it interesting and we had a good moment together. 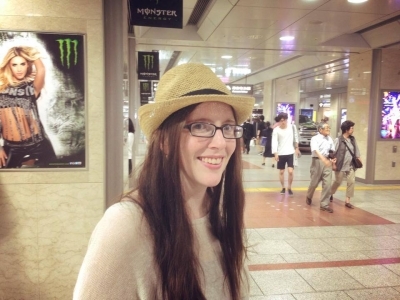 Bree has been working in Japan for three months and she is going to stay one year in Japan. She is working as an English teacher in Toyota city. Bree has been to Nagoya and Tokyo but she wants to visit more cities. She adores floral art which is widely spread in Japan. She showed me some artwork and it was very beautiful. I'd never heard about this type of art before so it was very interesting. About travelling, she hasn't travelled a lot, but she has been to France, Belgium and The Netherlands. Bree is from Washington DC and she told me that if you go there, take time to visit the monuments as they are very interesting. For example, the Lincoln Memorial. Plus she adds, “don't drive” as Washington DC is like Paris, there are many crazy drivers so it is kind of dangerous and traffic jams are insane during peak hours. I met Mark for the second time as he used to live in my guesthouse for a few days but unfortunately he left before I had the chance to interview him. So it was a good surprise for me today. We had enough time to talk and to eat lunch together before he left for Kyoto, where he really wants to visit before he leaves the country. He works as a Project Manager in a carpentry business in Berne, the capital of Switzerland. He had a break and came to Japan for sightseeing. He has been to a huge part of the country with the Japan Rail Pass, which I guess is the best way to move in the country for foreigners who want to see many cities. Mark likes Japanese traditions, food especially sushi, ramen and udon and he thinks Japanese people are very respectful and polite. “If you come to Switzerland, you must taste fondue and go and see mountains." He also recommends going skiing in Switzerland’s ski resorts. It was a pleasure to meet Mark again. I spent a good moment and I hope he will love Kyoto, I’m sure he will! I wish him a good trip.